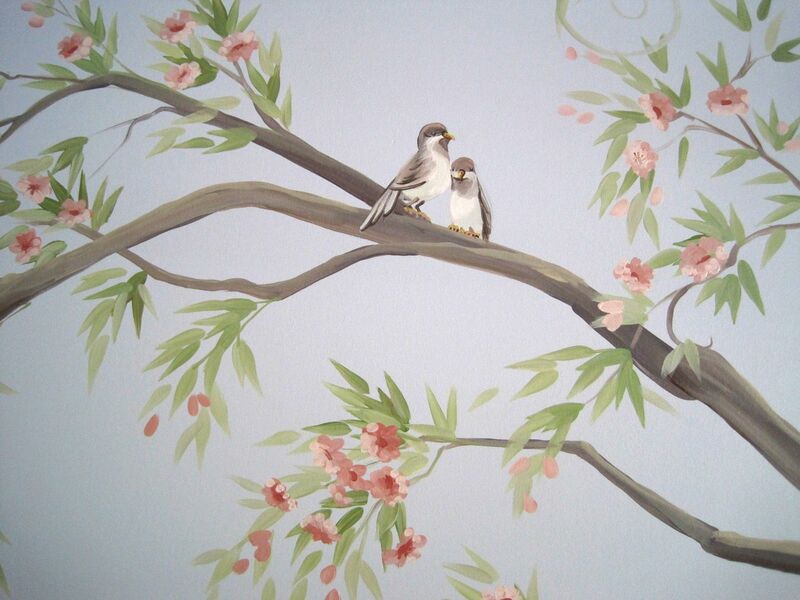 I painted a soft cherry blossom tree and love birds for a girls nursery in San Francisco. 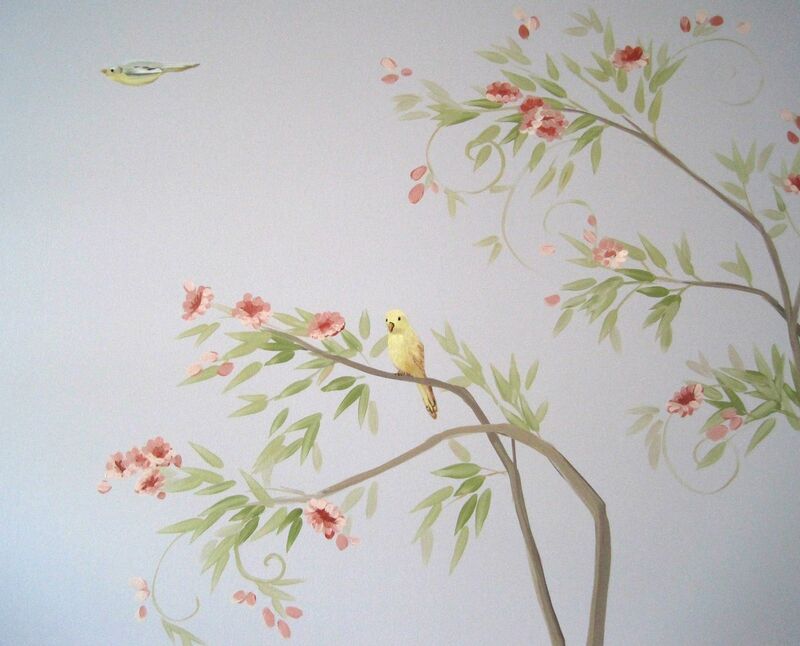 We wanted to keep the colors and tone soft. 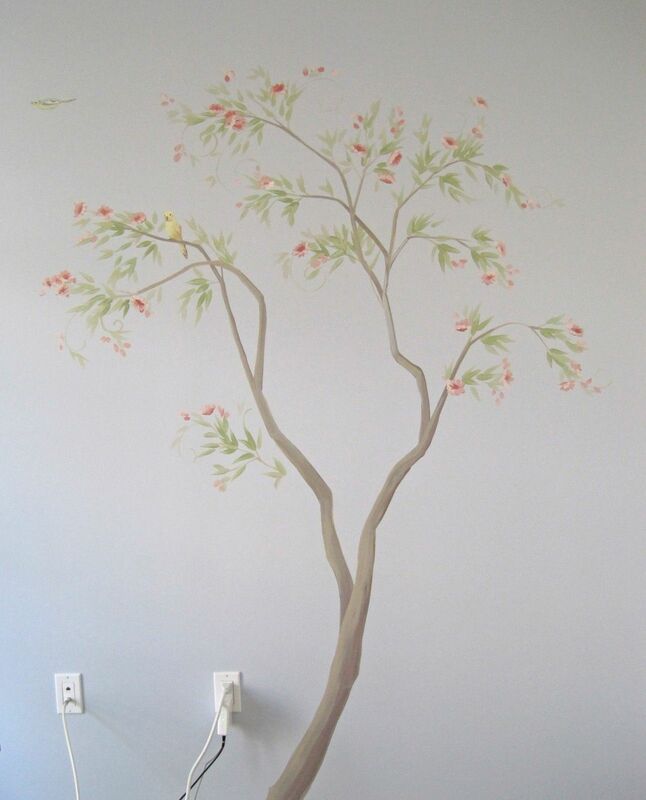 There is a soft spiral scroll around the edges of the tree, to give it a stylized, artistic touch. 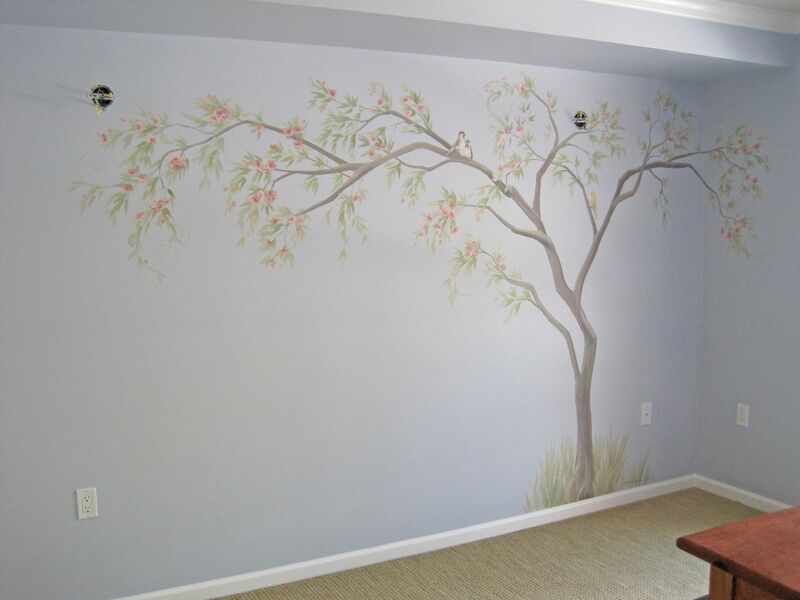 It was just the tone the client wanted to set for the sweet nursery she had planned.